Wampole Adorable Lactation capsules are a herbal medicine remedy used as a galactogogue/lactogogue to help promote milk production/secretion. This product seemed to work for me. My supply did increase after taking this product but it could be due to other factors. 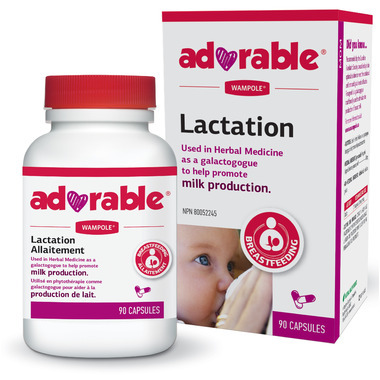 Regardless, this product has a great price and I will continue to take it as long as I breast feed.